Freshworks Technologies has reported an annual revenue of INR 199 crore in the FY 16-17. The startup is a leading SaaS B2B provider in India. profit and loss statement shows a loss of INR 62.20 lakhs vis-a-vis profits of INR 8 cr in the last year, which may be accounted to several new buyouts that Freshworks made in FY 16-17. The company’s total expenses stood at INR 171.84 crore in the same financial year. 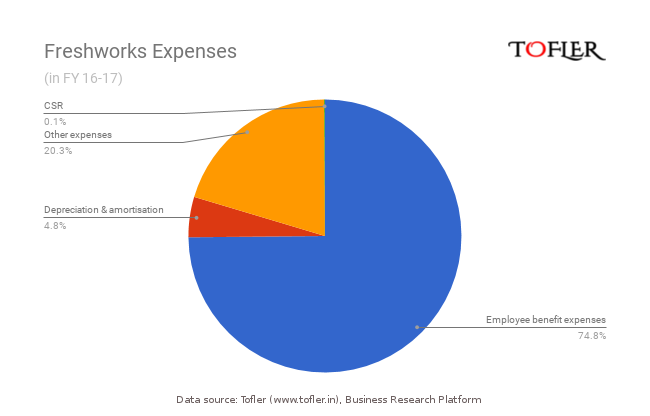 The bulk of expenses went towards employee benefits in FY 16-17. Freshworks Technologies Pvt Ltd is a subsidiary of Freshworks, Inc. USA, and was incorporated in 2010 with headquarters in Chennai. It is one of the few startups that are eying unicorn status in India in 2018, and it is particularly noteworthy for being a B2B startup in an economy where most unicorns are consumer facing businesses. The company once known as Freshdesk, offers software as a service on the cloud. It has raised capital from Accel Partners, Tiger Global, Capital G and Sequoia Capital India. It has raised nearly INR 150 crores (USD 230 million) till date and has made nine acquisitions in the last two years, with seven product launches in 2017 alone. Freshwork’s buyouts include SaaS startup Pipemonk, social chat platform Chatimity, and social media listening and analytics platform Airwoot by Memeticlabs Technologies. In 2015, the company had acquired video chat software 1Click.io, social recommendation platform Frilp and in-app customer support platform Konoter. The startups latest acquisitions include chatbot Joe Hukum and marketing software startup Zarget. Clients of Freshworks global include Hugo Boss, Honda, Toshiba and Cisco. 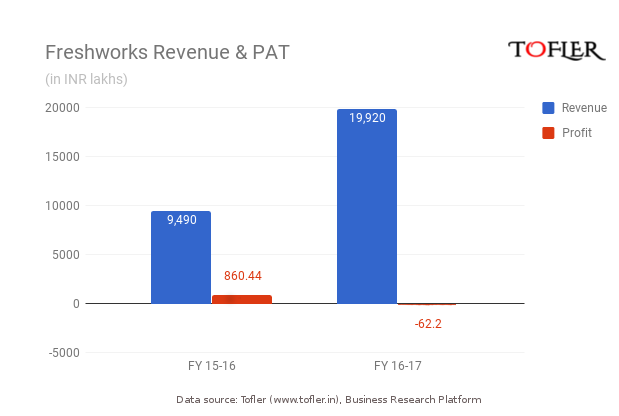 In the Indian market, Freshworks has a head start in a promising market. The Indian SaaS and enterprise software market is responsible for 9 percent of all software sales. Experts believe that the CRM, BI/analytics and CCC markets are going to grow in India. Another school of thought is that India is a good place to build but not sell SaaS products. It will be interesting to watch how Freshworks and its market evolves in the future.